Fujifilm’s Instax cameras have made more than a small splash recently, but years ago Polaroid tried to help them out by marketing them in North America as the Mio. I’ve written quite a bit about the Mio already, but I’d like to wrap it all together here. Polaroid Mio film and cameras are rebadged Fuji Instax Mini products. 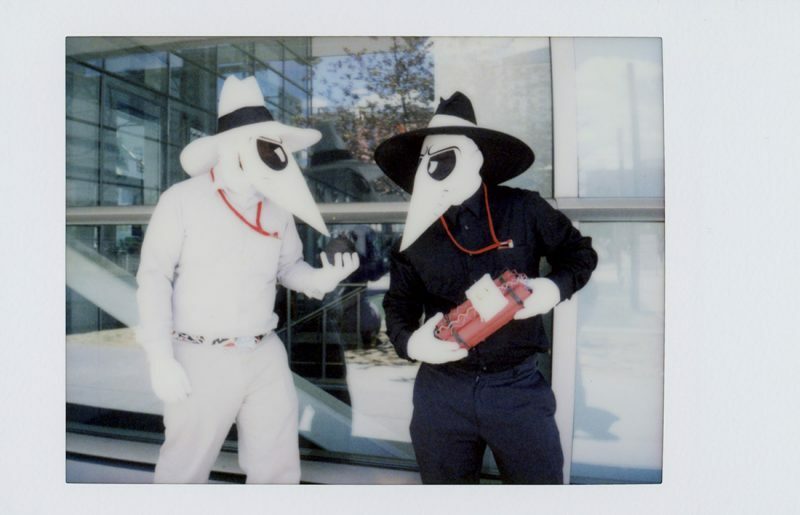 For twenty-plus years starting in the mid-1980s, Polaroid used their clout in the North American market to market Fuji’s products for the benefit of both companies’ bottom lines. 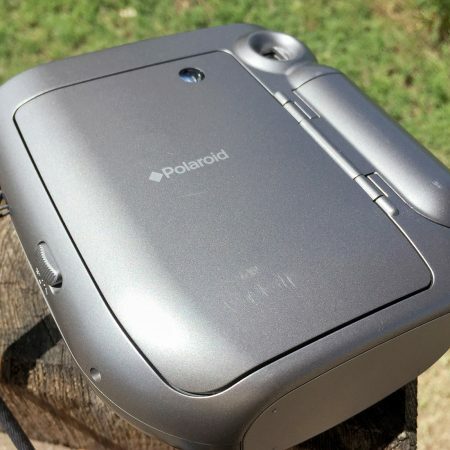 Even today, the Polaroid name graces an Instax Mini camera — as the 300 model. 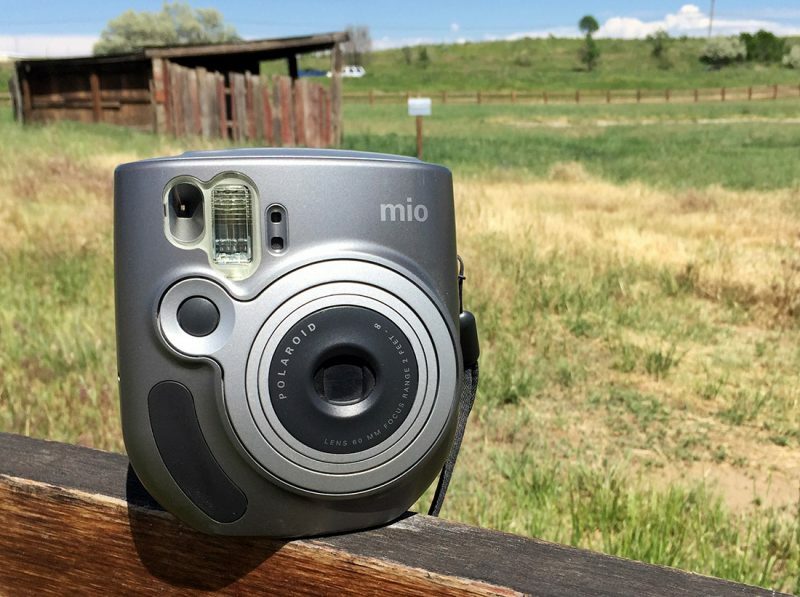 But the Mio was years ahead of Polaroid’s bankruptcy and the untimely end of their decades-long stranglehold on the high-quality instant film market, coming as it did in 2001. Usually I’m starting with a camera and looking for film to use in it (usually I have to look no further than the fridge), but the Mio was different. 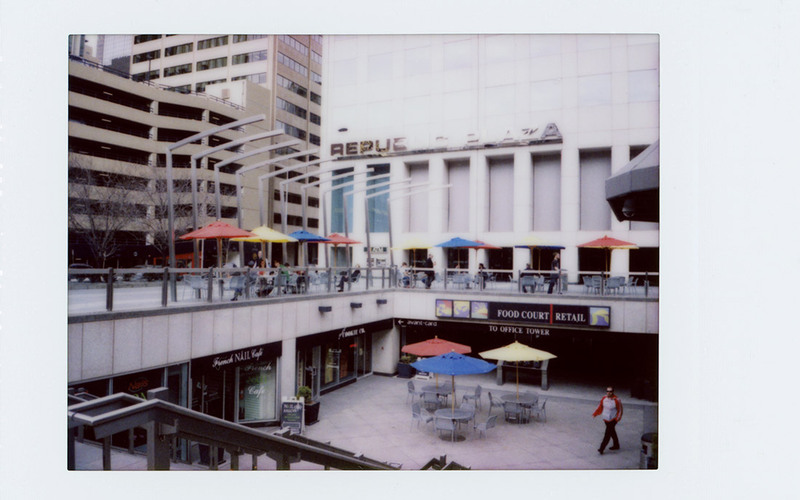 I stumbled upon a 5-pack of Fuji Instax Mini film — 50 shots — in a thrift store, and couldn’t let it rot. I sat on it for awhile and researched what to use it in. 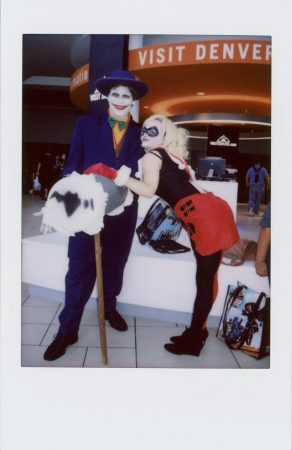 I looked around at Fuji’s Instax options without realizing there was a Polaroid connection until someone on Twitter pointed out the Mio. It doesn’t have the Instax name, and it’s visually much more reserved than most of Fuji’s offerings. Because there were so many refurbished models being sold on eBay with original packaging — and for about the half the price of even a used Instax Mini — I decided this would be my tester. The Mio is pretty much all automated — a hallmark of not just virtually all cameras of the era, but of nearly all Polaroids, too. There are still five buttons’ worth of controls, though — an aberration by earlier Polaroid’s standards. The leftmost button on the top cover is the fill flash button — which enables the flash whether the auto-exposure system thinks it’s needed or not. A lightning bolt pictograph matching the icon on the button will appear in the LCD on the top cover indicating that you’ve decided to take daylight exposure into your own hands. Next to that is the lighten/darken button. Like the classic knob or switch on millions of older Polaroid cameras, it’s essentially a little bit of exposure compensation (actually it’s a lot — at least one stop, maybe more). 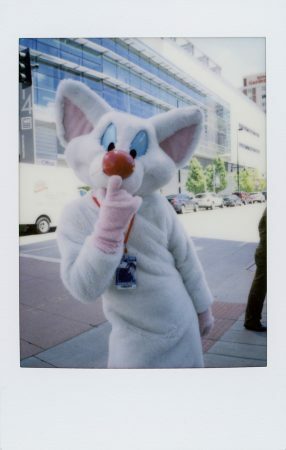 It only has one lighter and one darker setting, as opposed to the two notches to either side of zero on most other Polaroids. Press the button once for lighten mode, again for darken mode, and a third time to return to normal. The lens is 60mm and auto-extends when you turn the camera on. It has two focus settings: normal and further-than-normal. There correspond to focal distance ranges from about 2 feet to 10 feet, and from 10 feet to infinity, respectively. That’s the third button (it toggles between modes — a mountain pictograph in the little LCD indicates further-than-normal mode is selected). The fourth button — red for extra visibility — is the power button. Press it to release a flock of white doves for weddings turn the camera on and off. Had you going for a minute there, didn’t I? The fifth button is the shutter button. You knew there had to be one of those somewhere — it’s not as if the Mio is nearly expensive enough to read your mind, or be triggered by an eye-blink or something (it’s hidden cleverly in plain sight on the front of the camera). It triggers the shutter (you weren’t going to fall for that again, so I didn’t bother trying). The aperture is f/12 and the shutter speed is variable, from 1/400 second down to 1/30 second. Not a lot of shallow depth-of-field options going on here. There is one other interactive feature on the Mio. It’s a switch on the side of the back panel the releases the film door. This is primarily used for loading fresh film packs, and removing the spent cassettes. Actually, those are the only things it’s useful for. 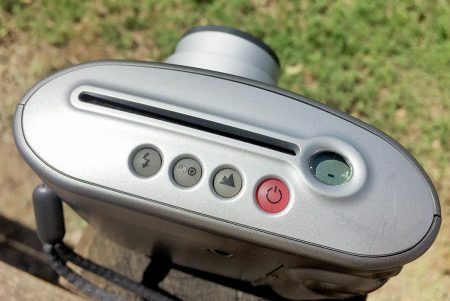 The LCD readout on the top cover features a few icons for the various exposure modifiers and a frame counter, which starts at 10 when you load a fresh film pack and counts down. When you get to zero, it’s time to throw the camera away. Or, you know, put in another film pack. There’s a viewfinder that looks through the top-right corner of the camera (“top” might be unnecessary here — the Mio only has two corners and they’re both on the top). The flash is right next to the viewfinder. The Mio uses two CR2 3-volt batteries, and it even has a place for them inside the camera with a spiffy plastic door that snaps open and closed with ease (allowing them to be changed if they should eventually die). Lastly, the Mio features a pseudo-ergonomic plastic housing that was most likely designed for use with human hands (read: opposable thumbs not required, but strongly encouraged). There’s a little rubber pad on the front to keep sweaty fingers from slipping off the plastic. Next, I’ll tell you if any of these amazing and revolutionary features actually do anything — and how well. The incredible simplicity of the Mio is belied by the buttons. You might think there’s more to it, but really there’s not. It’s delightfully addictive for that very reason, however. The ability to independently control the flash is good, especially since that and the 1-stop over or under exposure compensation are the only ways you have to augment the always-on automatic exposure mode. I found that, in general, photos were well exposed outdoors in decent light, and indoors, subject distance seems to have a lot of impact on whether the flash is effective at all, or just blows out all the highlights. 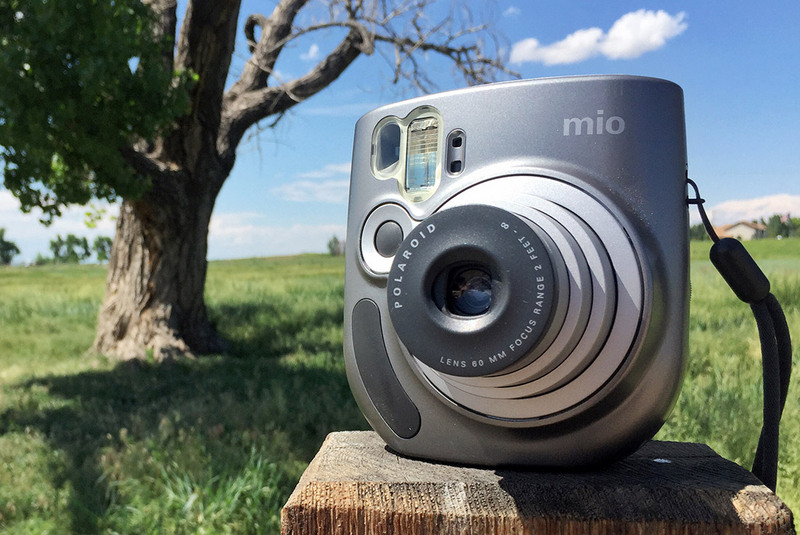 Held in an upright orientation, the Mio takes portrait-orientation Instax Mini photos. It’s also very usable when rotated 90 degrees to the side for landscape-format pictures. The viewfinder doesn’t have any parallax correction marks, but could probably use some — centering a subject less than about 6 feet away is nigh-on-impossible. The 60mm lens is a little wide for the frame size, but not super wide. Instax Mini film’s image size is about 62mm by 46mm, which is around 10 percent smaller in each dimension than a 6×7 negative. The focal length winds up being the rough equivalent of a 35mm lens on a 35mm camera — slightly wide, but not a lot wider than normal. It’s really a little too wide to make great portraits. It’s excellent for group shots, though. And I feel like that’s probably what Fuji had in mind when they set the whole thing up, since virtually all Instax Mini cameras have 60mm lenses. So it’s a camera for teenagers and hipsters, right? Of course it is, who else has the disposable income (or parents with the disposable income) to pay $1 a frame and make pictures with little integral film? And what do teenagers and hipsters take pictures of? Themselves and their friends! The more I think about it, the more I think Fuji was spot on with the design — this is a camera purpose-built for partying extroverts with a hint of narcissism. I’m not saying there aren’t plenty of other uses for Instax Mini, just saying I can follow the thought process that decided what focal length would work best to attract their target audience — and they were targeting whatever market segment would buy the most instant film cameras at Target. The weak link here, I think, is the film itself. It’s not that big and the resolution isn’t that impressive. It’s not not sharp, but it’s not all that sharp, either. And the color leaves a lot to be desired, in my opinion — I covered that in my recent #InstantApril post in more detail. 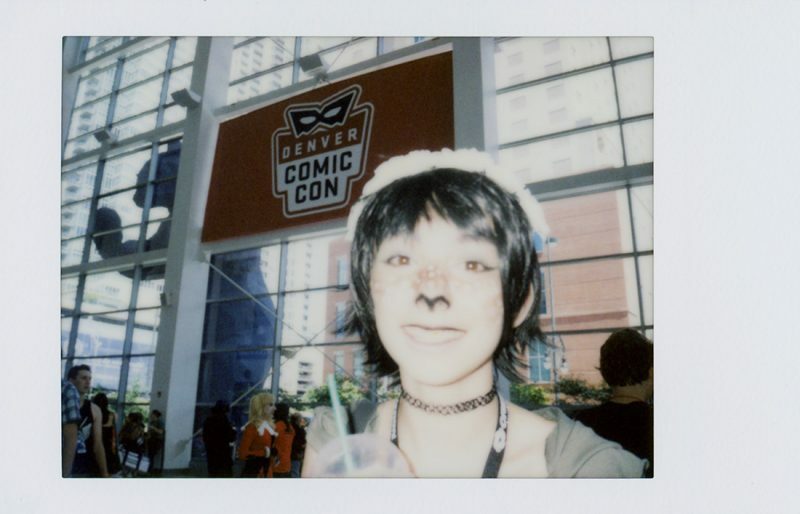 Getting down to it, though, that best thing about the Mio (and, I suspect, about the rest of the Instax Mini/Polaroid 300 line) is the simple, stress-free fun, and the physical result you can hand out or write your name on or whatever. In addition to my 5-pack thrift store find, I got two more film packs with the camera purchase. That’s a total of 70 frames, and they went fast every time I put a pack in the camera. Because fun! As I said up top, you can still get refurbished Polaroid Mios with two packs of film on eBay for a decent price — much cheaper than most Fuji options (especially if you actually factor in the free film). If you want to try out Instax Mini, I think this is a great way to do it. And it’s not cartoony looking at all. Much. Okay, a little. Grab one anyway.